A Hull surgeon has been filmed by a television documentary crew after saving children whose faces were ravaged by a deadly infection. 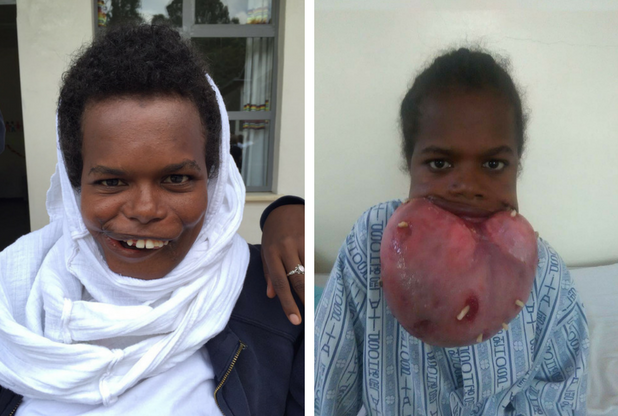 Kelvin Mizen, a maxillofacial consultant at Hull University Teaching Hospitals NHS Trust, has travelled to Ethiopia for 10 years to help children with Noma, a bacterial infection caused by extreme poverty and chronic malnutrition which can lead to gangrene. The Captive Minds documentary team, working for Channel 5’s Extraordinary People series, filmed Mr Mizen saving two young women aged 14 and 20 during his most recent visit to Ethiopia. Mr Mizen, who joined the trust more than three years ago, said: “I do this because you can make a proven difference to people’s lives. Noma, also known as cancrum oris, can be prevented with antibiotics and immediate nutritional support if detected early enough. Left untreated, mouth ulcers lead to agonising swelling in the cheeks or lips. Within days, gangrene sets in, leaving gaping holes in children’s faces. Around 90 per cent of people with Noma will die from sepsis. Noma was eradicated in England in the 19th century as living conditions in the country improved with the dawn of the Industrial Revolution. It reappeared in Europe briefly during both world wars as malnutrition raged across the continent. However, it still occurs in 39 of the 46 African countries, with the World Health Organisation estimating around 140,000 new cases, commonly in children under six, every year. 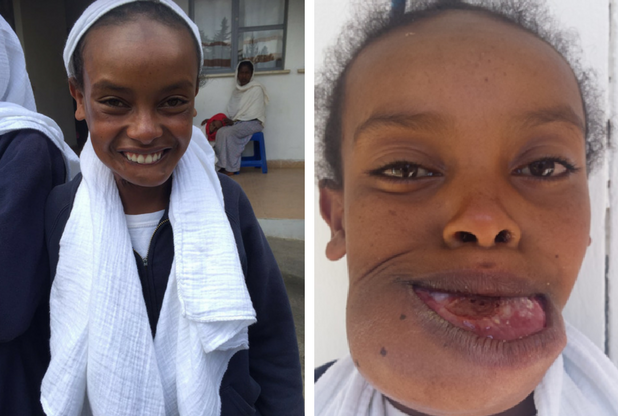 Charity Facing Africa was set up in 1998 to help children with Noma and other severe facial deformities. Volunteer surgeons, anaesthetists, theatre and nursing staff from UK and Ireland travel to Ethiopia twice a year to see around 70 patients, operating on around 40. Mr Mizen was working at Pinderfields Hospital in Wakefield when he was able to identify the condition after a consultant connected to the charity showed him photographs of some of the children. 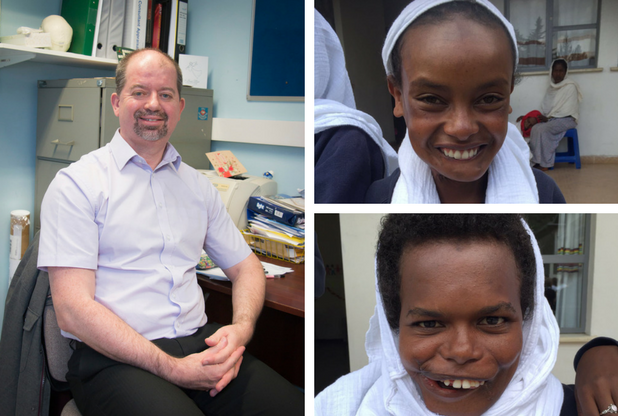 During his most recent trip to Ethiopia, Mr Mizen helped the two girls who both had huge benign tumours on their faces, working with the surgical team to use new techniques to rebuild the girls’ lower jaws. “Both of these girls would have died and at least one of them would have bled to death if we hadn’t saved her,” he said. After being helped by Mr Mizen and the team, both young women are now able to go to school, increasing their chances of better lives. The documentary featuring Mr Mizen’s work is expected to be featured on Channel 5 later this year.